Since 1979, Diablo magazine has reflected the lifestyle of the San Francisco East Bay, one of the nation’s most prosperous suburban regions. The East Bay is a highly affluent area, and according to Forbes magazine, home to seven of the 150 most expensive zip codes in the entire United States. Diablo offers our readers a wide range of editorial–from personalities and community, to style, shopping, dining, entertainment, and travel. 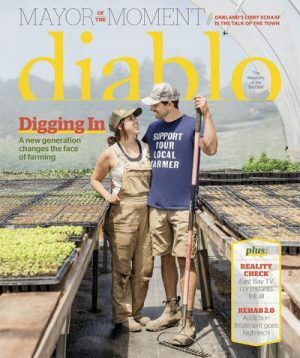 Diablo also covers timely and thoughtful stories that bring its readers a well-rounded editorial package. In fact, Diablo has been recognized for its editorial and design excellence with numerous industry awards.